Austria’s leftists called for weekly protests against the country’s archconservative anti-immigrant government, Vienna, Austria, October 11, 2018. Austria’s leftists called for weekly protests against the country’s archconservative anti-immigrant government. 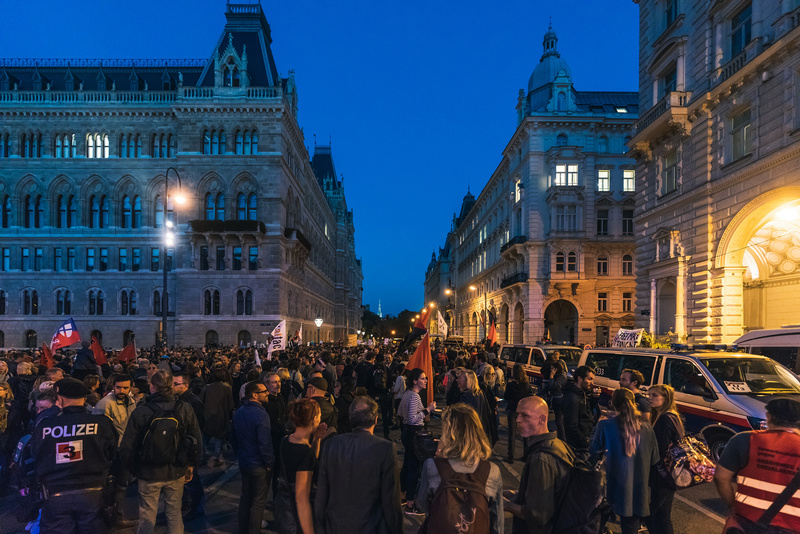 Last week, “Resistance!” was the bellowing cry from 20,000 people gathered in Vienna’s Ballhausplatz square in front of Chancellor Sebastian Kurz‘s office. And this week, even more are set to do it again. As reported by Deutsche Welle (DW), Germany’s international broadcaster, after nearly a year of archconservative rule by Kurz’s Austrian People’s Party (ÖVP) and the far-right Freedom Party (FPÖ), the left has revived the so-called “Thursday demonstrations” of the early 2000s. Then, as now, the weekly rallies were meant to show opposition to an ÖVP-FPÖ coalition government and, in particular, to what activists see as the FPÖ’s long history of xenophobia, anti-Semitism and now Islamophobia. What makes Austria unique among many Western nations facing a rising tide offar-right and right-wing populism, however, is the enthusiasm with which young people are embracing it. The demo attendance last weak was not 20.000 but just 3000-4000 according to police, and this weak it was only 5000.